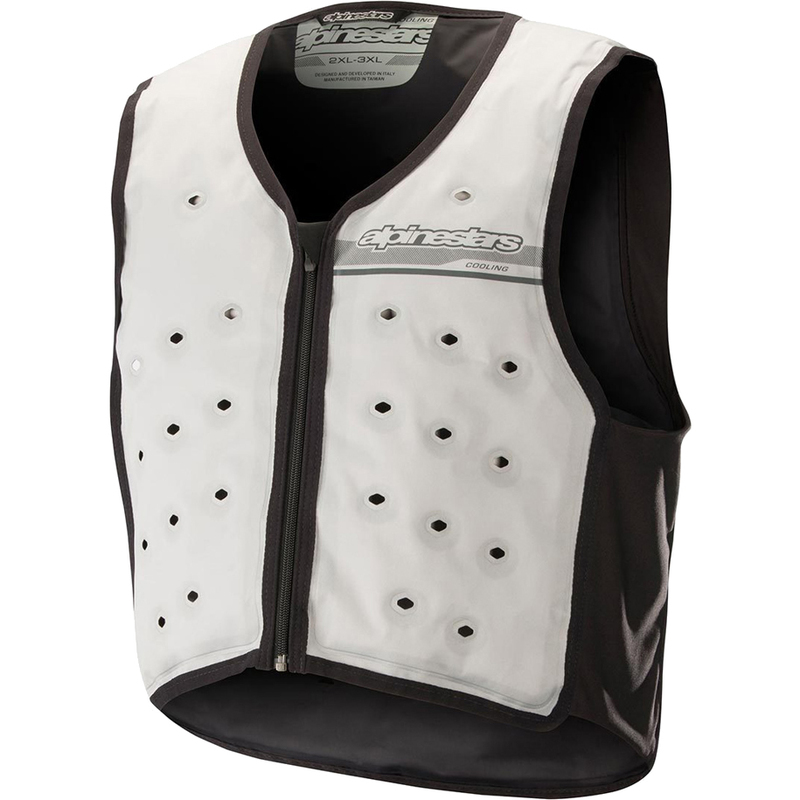 The Alpinestars Motorcycle Cooling Vest is part of the latest Alpinestars collection. Alpinestars' Cooling Vest keeps the rider comfortable when the thermometer rises. Incorporated stretch inserts for fit and ventilation ports for airflow and breathability, the vest features an innovative cooling system which evenly releases moisture during rides, thus significantly regulating the vascular system and limiting the effects of heat exhaustion. Extremely lightweight with a refillable water chamber, the Cooling Vest performs time and time again. View all Alpinestars Base Layers. View all Motorcycle Clothing Base Layers.